Den Tekniske Messen is one of the largest and most respected industrial and technology exhibitions in Norway and Scandinavia. Our distributor in China, Anhui Sikon Import & Export Co., Ltd., will participate at the famous China International Auto Products Expo exhibition held in Shanghai National Expo Center from 19th to 22nd of September, 2015. Diprofil was represented at the Precious Fair in Stockholm last week and once again our jewellery tools raised a lot of interest. The fourth edition of the DIPROFIL Newsletter 2015 is here! Come meet with Diprofil in Norway! Diprofil will be represented by Form og Stanseteknikk AS at Den Tekniske Messen in Oslo, Norway. DIPROFIL will be represented at the Precious Fair in Stockholm, by our Swedish distributor Normek Försäljnings AB. 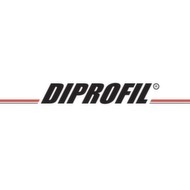 Check out the latest newsletter from Diprofil! Check out the latest fair where DIPROFIL participated together with its distributor Multi-Instal! DIPROFIL participated at the Plast Exhibition in Milan, together with the Italian distributor Sverital SpA. Diprofil joining Sverital at Plast 2015! Do you want to meet with Diprofil and find out more about our polishing machines and tools for the plastic industry? Check out which Diprofil products attracted most interest at Elmia Polymer 2015 in Jönköping, Sweden last week! New press release about Diprofil's latest tool-holder! The new ergonomic tool-holder from Diprofil! Welcome to the 2nd edition of the Diprofil Newsletter for 2015! Big Interest for Diprofil at NPE2015! Baselworld 2015 ended on Thursday last week and Diprofil is excited to have been present there! Are you a jewellery maker and interested in finding the best jewellery tools for your business? Meet DIPROFIL at NPE2015 next week! Diprofil Newsletter 1/2015 OUT NOW! New product catalogue, excellent feedback on our Mark II polishing/filing machines & many more! Sign up to receive company updates! Make sure to keep yourself updated with the latest news from Diprofil!